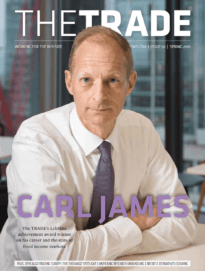 The TRADE > News > The sales trader’s last stand? The sales trader’s last stand? Whether or not buy-side traders in Asia-Pacific believe best execution is best served in 2009 by directing more flow to agency brokers is a moot point. But it is undeniable that execution-only brokerage is an increasingly competitive space in the region. US-based agency brokerage Knight Capital start trading in nine Asia-Pacific markets in February. But Knight is just one of a growing number of other firms, including BTIG, a US institutional broker, that have recently expanded their footprint in the region, challenging more established execution-only brokers such as ITG, Instinet and Cantor. While some of these latter firms have been instrumental in extending the range of electronic trading services to Asia’s buy-side traders, such as direct market access, execution algorithms and dark pools, many of the newcomers are attempting to gain market share via a more traditional route – the appeal of the sales trader. More than most of Europe and North America, many Asian equity markets still rely heavily on sales traders due to the more unpredictable nature of liquidity. Although the dire lack of order-book depth over much of the last six months has increased the importance of experienced sales traders to Asia’s institutional investors, some have questioned their long-term role in a market that has increased its algorithmic flow significantly over the past 18 months. As crossing networks and dark pools expand from their beachhead in Japan to other markets in the region, the sales trader’s ability to find all-important blocks is under threat. Nevertheless, experience counts right now. And it is sales traders that have seen the ups and downs of the Asian markets over the past decade and a half that are being recruited by up-and-coming brokers now. Not only are execution-only firms picking up sales trading talent forced out of bulge-bracket brokers in the aftermath of their catastrophic financial losses. Sales traders are actively exchanging uncertainty about their bonuses and futures for the chance to make an impression at a smaller, more dynamic and less operationally restrained outfit. But what about the algos? While some of the newer players in the region are bringing their own electronic execution capabilities with them, others – mindful of the relatively short window of opportunity in which to grow market share – are outsourcing. The bulge bracket might be losing some experienced, if expensive, resources, but they are finding comfort in the flow from the new agency-only brokers through their direct execution pipes. Buy-side confidence in the long-term capabilities of traditional counterparts has taken a knock in the last six months, in Asia as much as Europe or North America. In some respects, the concerns of Asia’s institutional brokers are greater. For many of the sell-side counterparts on which they rely, Asia is an option that can be scaled up and down according to strength of revenues, a factor that may play on the minds of institutions whose suppliers are currently dependent on public-sector finance. With trading volumes and values sharply lower in Asia than 12 months ago, there are now more firms fighting over a smaller pie. Therefore, the sustainability of the agency-only brokers’ challenge may be decided by the speed at which Asia’s economies and stock markets recover from last year’s shocks. But it also depends on the ability and willingness of buy-side traders to access the widening range of agency brokers at a time when commissions are dwindling at a similar rate as trading volumes. Commission sharing agreements have risen up the agenda significantly and most buy-side traders insist that even where commission targets remain they have the necessary flexibility to ensure that best execution is not compromised. 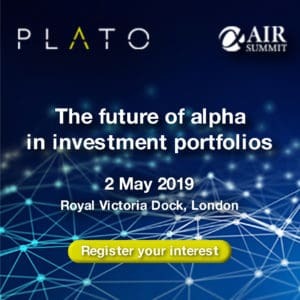 But the need to maintain existing levels of coverage from current sell-side partners could mitigate against institutional investors casting their net as widely as some new sell-side firms expect.